This Kids Yoga session has been cancelled. Look out for future sessions, including two summer sessions beginning this June for kids and parents ages 2-4. In this series children explore yoga through music and narrative. Julie uses the power of story to captivate children and to ease them into yoga in a playful, encouraging way. A day at the zoo, for instance, is the perfect way to learn Cobra Pose and Lion’s Breath. Or join her for an imaginary day of apple picking, safari, or space travel! Julie brings her guitar and sing-along songs for a music break and then finishes class with relaxation and visualization techniques, which introduce children to the power of self-guided healing and stress reduction. Studies show that yoga improves focus, reduces anxiety, and increases self-esteem. 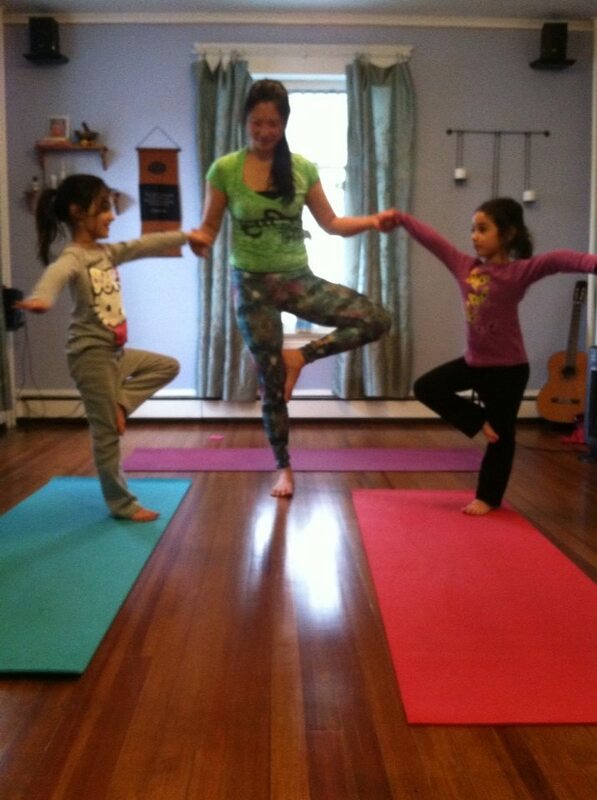 It’s never too early to become a little yogi or yogini! Sign your child up for six weeks, or drop in when you can. Mom or Dad is encouraged to stay for a session or two.